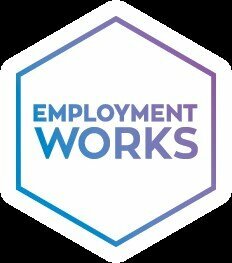 EmploymentWorks is a program that offers employment preparedness training and support, combined with job sampling and hands-on experience, to adults with autism and other disabilities. The program is designed for individuals who want to enter or return to the workforce, and who are willing to develop and practice the skills needed to support employment success. Structured Learning: focused on career exploration, employment readiness and soft skills development. Job Sampling: experiential learning for participants and employers in a variety of workplace settings. The final phase of the program is intended to support the transition from weekly programming and job sampling to active job seeking and employment. Facilitators will assist individuals in connecting to employment agencies and potential job opportunities, and provide training and support to employers.